The Church has a strong community in the northern Virginia area. There are 6 stakes in the mission to which a missionary can be assigned. Missionaries work closely with members in their efforts to preach the Gospel. There are multiple Spanish-speaking branches and groups in the mission and there is a good sized Spanish-speaking LDS community in the area. The closest temple is the Washington, D.C. temple located in Kensington, Maryland. It is located outside of the mission boundaries, but missionaries on occasion do get to travel to the temple. For the most part, missionaries in the Washington, D.C. Mission can expect to eat lots of foods typically eaten by American families: lasagna, pot roast, hot dogs, etc. However, the Washington, D.C. South Mission covers an area known for its diversity. Foods from all different cultures can be found at restaurants and stores throughout the mission. You can find traditional southern style food or delicious locally-caught seafood along with authentic cuisines from all across the world. So if you’re lucky, you might get the opportunity to sample a variety of foods. 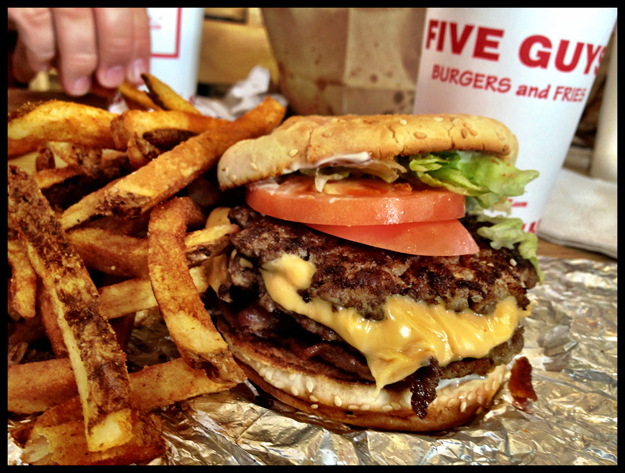 *The first-ever Five Guys Burgers and Fries opened within the boundaries of the Washington, D.C. South Mission. Virginia is also famous for its peanuts! Missionaries in the Washington D.C. South Mission use either cars or bicycles for transportation, depending on the size of the area and missionary leadership position. For those serving with cars, it should be noted that Washington, D.C. has the worst traffic congestion in the country with rush hour peaking between 7 am-9am and 4pm-7pm. Avoiding driving at these hours is advised, especially if you are desiring to use a freeway or other major road. There is an extensive subway (METRO) system that runs throughout northern Virginia toward the city, but for the most part missionaries use private transportation in the Washington D.C. South Mission. For the most part, Northern Virginia is an extremely safe place, with crime rates ranking well below the national average. There are certain places as you get closer to the city in the Falls Church and Alexandria areas, for example, that are a little rougher, but for the most part it is not a dangerous place. Missionaries should always be alert for potentially dangerous situations, but the Washington, D.C. South mission (which doesn’t actually cover any parts of the city) is one of the safer missions in the United States. Occasionally the mission will see a heavy thunderstorm or tornado in the summer; blizzards occur once every few years in the winter, causing considerable damage. The mission takes proper precautions to protect missionaries in these situations. The Washington, D.C. area has a rich tradition of patriotism. Being the capital of the United States and being the center of so many key moments in United States History, many customs of the area relate back to the history of the United States. The region has many colonial era towns, landmarks, and battlefields including Old Town Alexandria, Old Town Leesburg, Balls Bluff Battlefield, and Arlington National Cemetery. Many festivities occur close to the time of the fourth of July including incredible fireworks displays throughout the region. Inner Loop/Outer Loop- refers to the beltway, Interstate 495 that travels around the city. Inner Loop and Outer Loop describe the side of the beltway you are on and therefore the direction you are traveling. The Hill = refers to Capital Hill or the part of D.C. where the Capitol building and the Supreme Court building are located. Skins, Caps, Nats- abbreviations lovingly given to D.C.’s sports teams: the Redskins, The Capitals, and the Nationals. *Related: Httr- Hail to the Redskins. DMV = term referring to the D.C., Maryland, and Virginia area. Climate: The Washigton, D.C. area is typical of the Mid-Atlantic states region and exhibits four distinct seasons. Summers are hot and humid with a July daily average around 80°F and average daily relative humidity around 66%, which can cause moderate personal discomfort. Winter is cool with annual snowfall averaging 15.5 inches. Winter temperatures average around 38 °F from mid-December to mid-February. Fall and Spring are generally mild to warm. Blizzards often pass through the area in the Winter, and thunderstorms occur often throughout the Summer months. *What advice would you give to someone going to the Washington DC South Mission?